Brock Peters worked his way up from poverty in Harlem. He appeared in two of the Star Trek feature films as Admiral Cartwright. 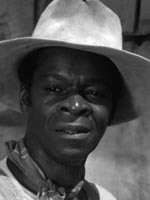 Brock Peters also was the voice of Darth Vader in the NPR Star Wars Trilogy radio series.